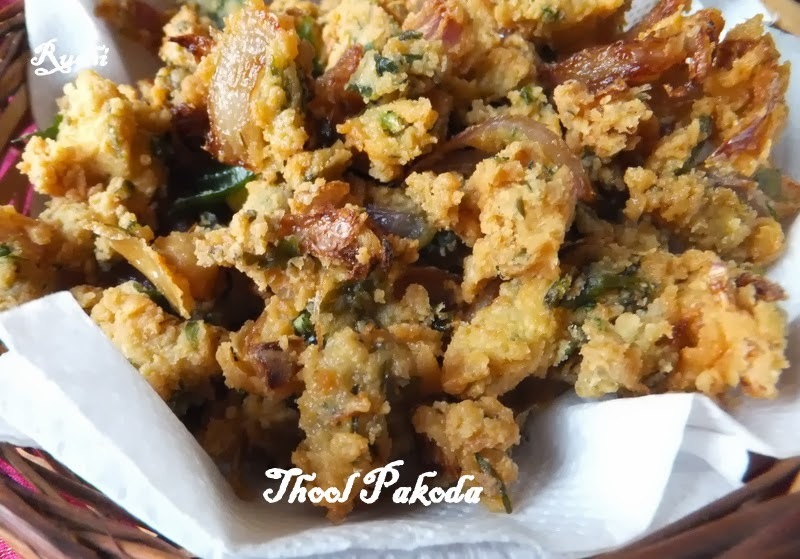 Thool Pakoda/Onion pakoda is a very simple and delicious snack and that can be made with less ingredients and sold widely in tea shops and road side in TamilNadu. It is loved by all for its crunchy and tastiness.. It is an ideal tea time snack. 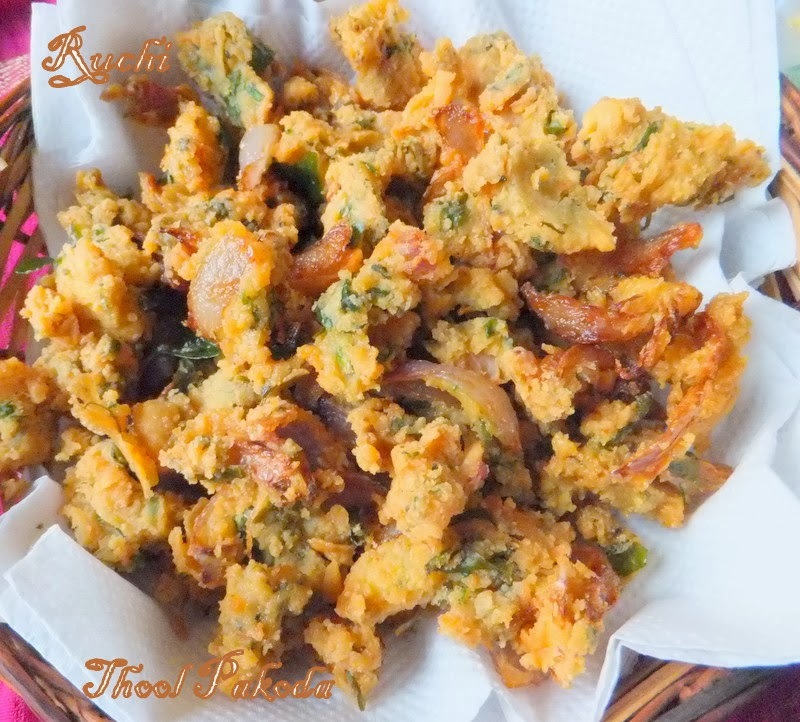 1.Mix together rice flour, gram flour, chilli powder, baking soda ,salt,evenly..
2.Add chopped onions, curry leaves and chopped mint leaves ,chopped ginger & chilli and just a handful of water and mix coarsely..
3.Add besan,riceflour, cashew and ghee and mix gently till all the onions mixture are coated with the flour and keep aside for about 10 minutes. 4Heat oil in a kadai. and drop of this mixtue randomly. 5.Fry till golden brown and drain onto paper towels. Serve as a evening tea-time snack. Perfect snack for the chill climate. One of my favorite snack also.